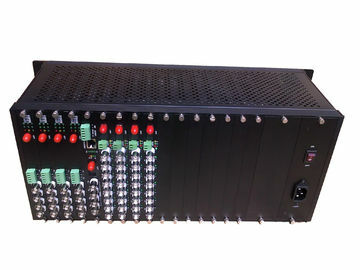 4U rack mount support video fiber converter cards adopting the latest optical communications technology and 8/10bit digital signal processing technology, and makes 1-8 channel unidirectional video and 1-channel reverse data encoded and multiplexed over one fiber optic for transmission. High-definition and real-time image exceeds EIA RS-250C standard. 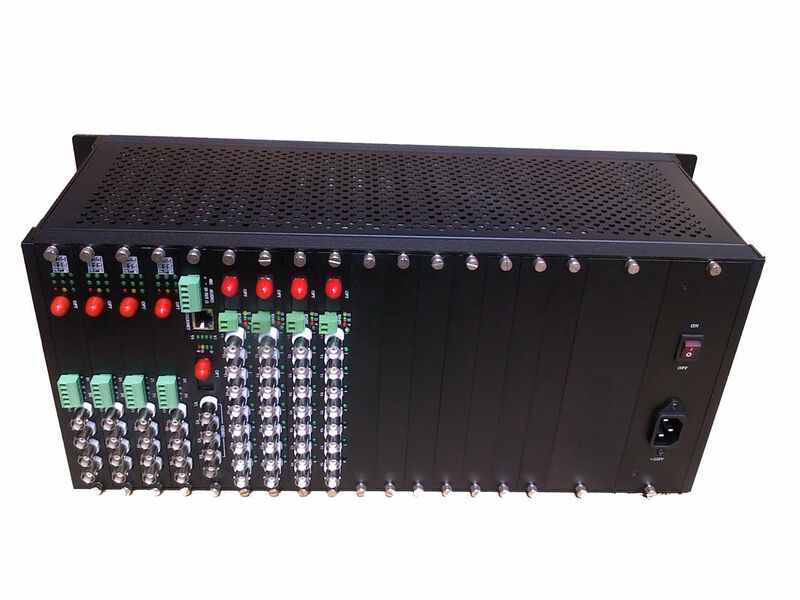 Now it is widely used in radio and television transmission, video surveillance, railway/highway monitoring, security, video conferencing and other fields.